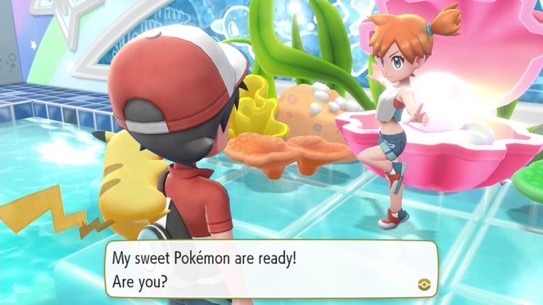 Nintendo may have revamp a few things here and there with Pokemon Let’s Go Pikachu/Eevee, but the gyms are sure bringing back a tinge of nostalgia. More specifically the Cerulean gym that Misty helmed. From sicreenshots that Nintendo of America shown off, it looks almost exactly the same as it was 22 years ago. So feast your eyes on Cerulean Gym in HD!